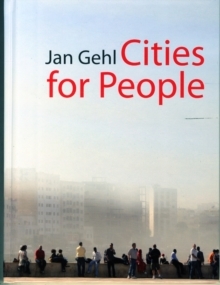 For more than forty years Jan Gehl has helped to transform urban environments around the world based on his research into the ways people actually use - or could use - the spaces where they live and work. In this revolutionary book, Gehl presents his latest work creating (or recreating) cityscapes on a human scale. He clearly explains the methods and tools he uses to reconfigure unworkable cityscapes into the landscapes he believes they should be: cities for people. Taking into account changing demographics and changing lifestyles, Gehl emphasizes four human issues that he sees as essential to successful city planning. 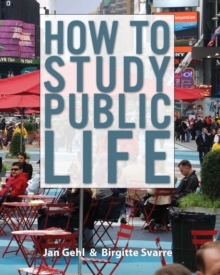 He explains how to develop cities that are lively, safe, sustainable, and healthy. Focusing on these issues leads Gehl to think of even the largest city on a very small scale. For Gehl, the urban landscape must be considered through the five human senses and experienced at the speed of walking rather than at the speed of riding in a car or bus or train. This small-scale view, he argues, is too frequently neglected in contemporary projects. In a final chapter, Gehl makes a plea for city planning on a human scale in the fast-growing cities of developing countries. A 'Toolbox', presenting key principles, overviews of methods, and keyword lists, concludes the book.